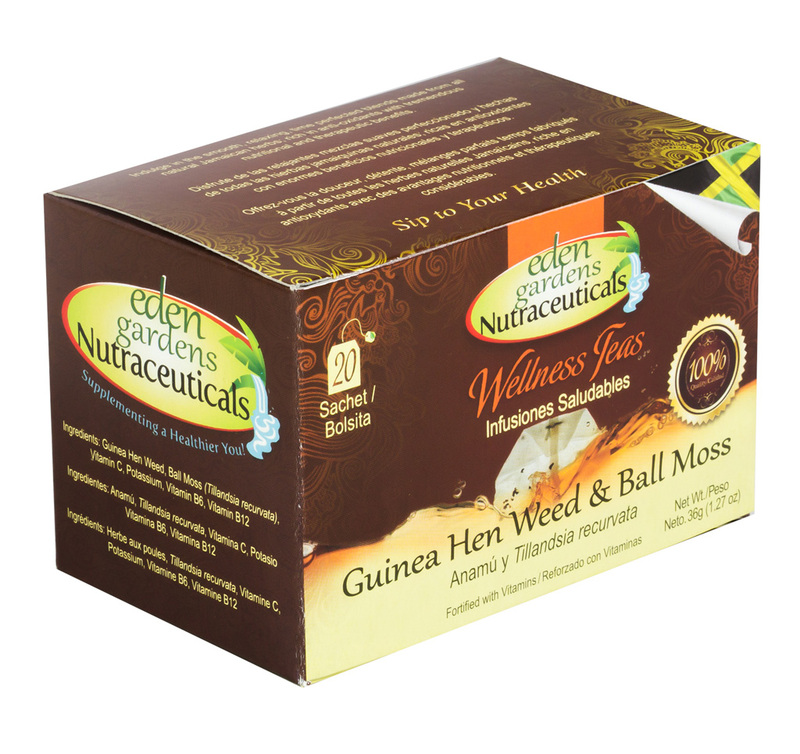 Made from 100% Jamaican Ball Moss leaves and Guinea Hen Weed roots and is known to be rich in anti-oxidants. Made from 100% Jamaican Ball Moss leaves and Guinea Hen Weed roots and is known to be rich in anti-oxidants. Traditionally used to combat inflammation, provide relief from menstrual cramps and bloating while maintaining a healthy nervous system. 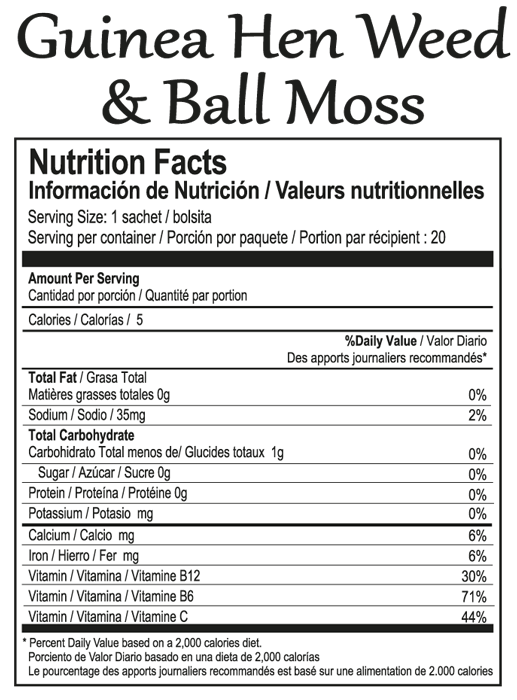 Recent scientific work has shown the effectiveness of Ball Moss against five cancer lines. (See attachment for research findings).